My family had two guiding principles when it came to vacation travel. First, vacation was no time to rest. If you’d made the effort to leave home and see someplace new, then by golly, you were going to see ALL of it. Conquer it. You want to sleep ’til noon or eight a.m.? You can (theoretically) do that at home. Secondly, all hotels/motels/concrete teepees look alike with your eyes closed. And really, you can stand anything for one night, right? Since we were out to conquer territory, we rarely stayed in one place for more than a night or two. Reservations? Pooh. Show up at ten p.m., and you can haggle a better rate. TripAdvisor? Nay! If a place seemed too questionable, my sister would do a sniff test before we bought the room. In short, if you didn’t come home worn out, burned up, and more grateful for your home than when you’d left, how could you tell you’d been anywhere? And then I saw the Grand Floridian in Walt Disney World. From the monorail, mind you, but even from there, it was the most glamorous, elegant place I’d ever seen in person up to that point, the kind of hotel where Anne Shirley, in her pearls and white gown with puffed sleeves, recited “The Highwayman” in the Anne of Green Gables mini-series. Disneyfied Victorian splendor, yes, but I didn’t care. I just had the feeling that I could walk into that hotel and be transported to the past (which was pretty much the driving desire of my youth). I “built” the Swan Park Hotel to include all my favorite elements of grand hotels: The details-obsessed hotel manager accesses a secret staircase from his office. Violin music drifts off the verandah in the evenings. Beneath the ballrooms and palm courts, a sprawling, humming basement of kitchens and laundries and storage rooms makes all that splendid leisure possible. Betsey allowed herself to stare, to wonder at the imagination behind it, one unfettered by practicality or moderation. Betsey could do with a little less practicality at this point in the story--she is someone who has put limits on her dreams and imagination. Here in the grand hotel, she gets an early lesson in the glorious results of ignoring those limits. 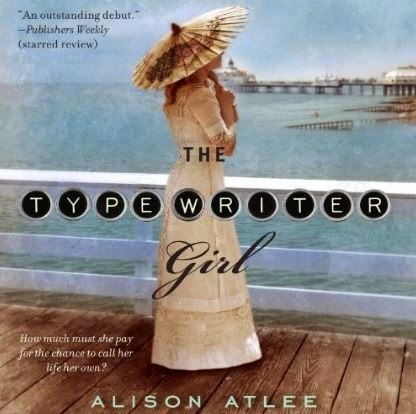 Thank you Alison Atlee for your wonderful guest post! As a native Floridian I have long admired The Grand Floridian hotel and can see how that could spark thoughts of transportation to another time! Readers, don't forget to enter the giveaway (information and link below). Good luck!!! I am just the reverse where hotels are concerned. I'd like them to be swanky, luxurious with everything that I cannot get at home! I'm with you, Mystica! I love fancy hotels (although those aren't always the ones we end up staying at :) ) and The Grand Floridian is one I am itching to get the chance to stay at at some point! When I go on vacation, I just want to relax. Sleep in, read, and of course a NICE place to park myself. So the Grand Hotel idea works for me!